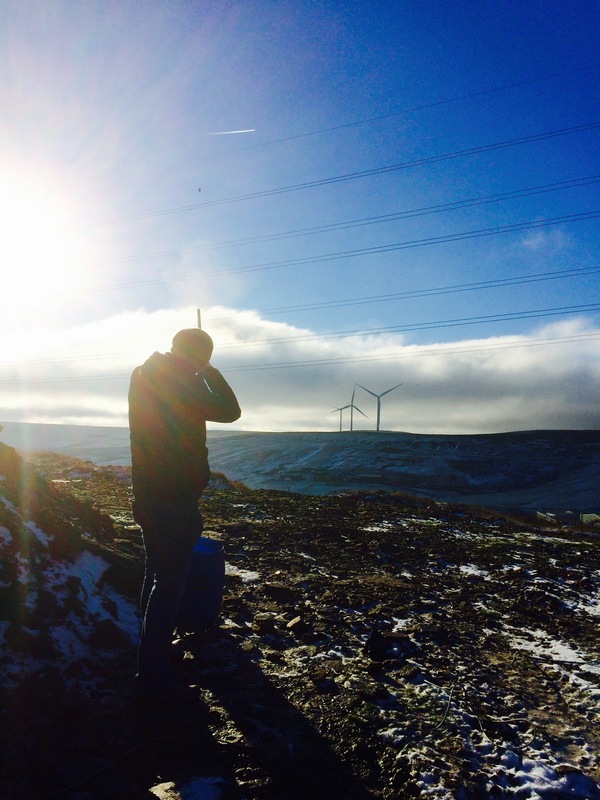 So, it was my brother’s birthday this month and because I’m a considerate sibling I decided to get him… something that I probably wanted to do more than he did: go clay pigeon shooting. I’ve always held an interest, or perhaps more of a reverence, when it comes to guns. I’m not a violent or particularly macho person but I am deeply intrigued to the idea of them. Part of it is because of their impressive construction and how – like it or not – guns have played key parts in modern history. 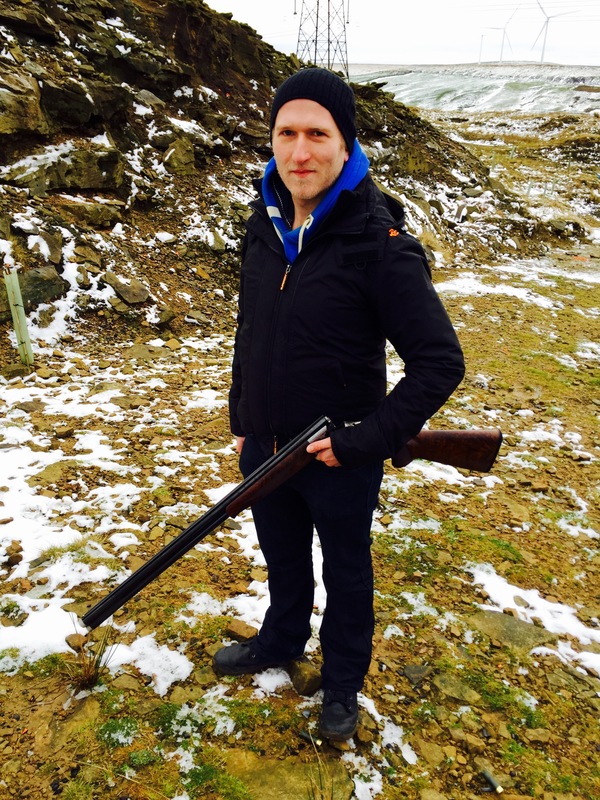 Guns have stories – they’re passed down in families, practised on and maintained. Get a good one and it’ll last a lifetime. To me they are akin to guitars – one of my more well-founded passions. Not the most flattering picture of me – wearing a million layers (usually I cut a slightly trimmer figure!) and getting papped by my brother without warning! When I was a kid I remember having a magazine that showed a cross section image of a pistol displaying its insides – how the ammunition clip fitted inside the handle, where the hammer would hit the bullet and how all these bits of metal and springs are put together. Shotguns are arguably less intricate on the inside but to hold one will ignite your appreciation of its craftsmanship. And hold one I did for the first time this month. 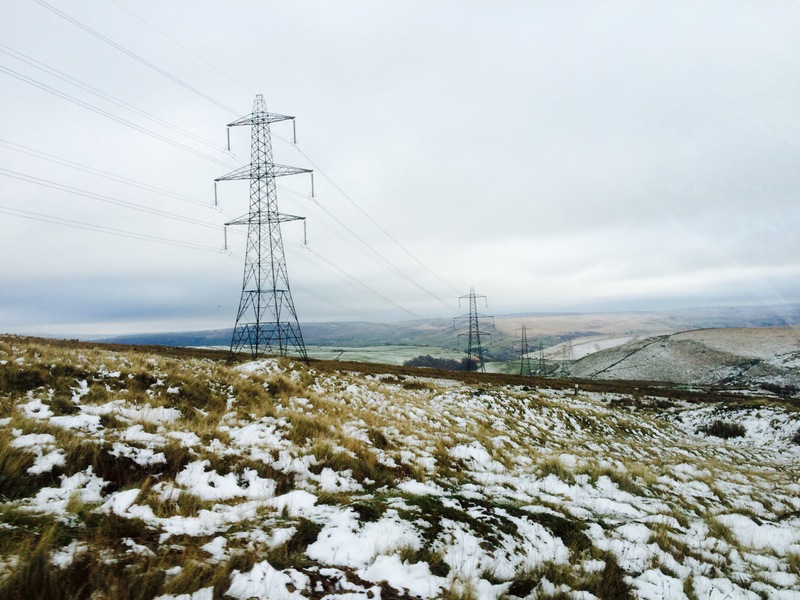 The club is almost impenetrable – placed high on the hills well outside of Bacup away from just about everything, accessible only by the kind of non-roads you’d see on a Land Rover advert. Once you reach the top of this suspension-shattering track, the ground levels off a bit and at the end of the makeshift car park is one of those metal huts used as temporary offices on a construction site. Only this one is permanent. These are not fussy, image-conscious folk. The club isn’t even really advertised – I only found out about it because my mum told me about someone she worked with whose husband (who used to go shooting here) had passed away and the wife decided to (excuse the pun) give it a shot for herself – to see what occupied so many Sunday mornings for all those years. She soon got hooked; got her son at it as well. Now she’s kindly offering to vouch for me and my brother so we can try it out. That’s probably the side of guns you don’t hear about – the one that bonds families together, not tears them apart. 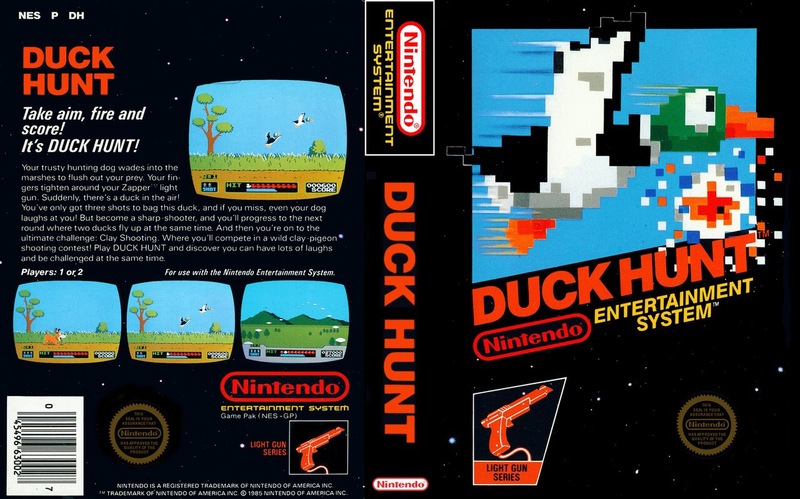 Before I knew it, me and my brother – who I don’t see anywhere near as much as I should – were bonding as complete shooting amateurs with only our childhood games of Duck Hunt on the old NES console counting for past experience. We show up and I pay for me and my brother’s clays and ammo. 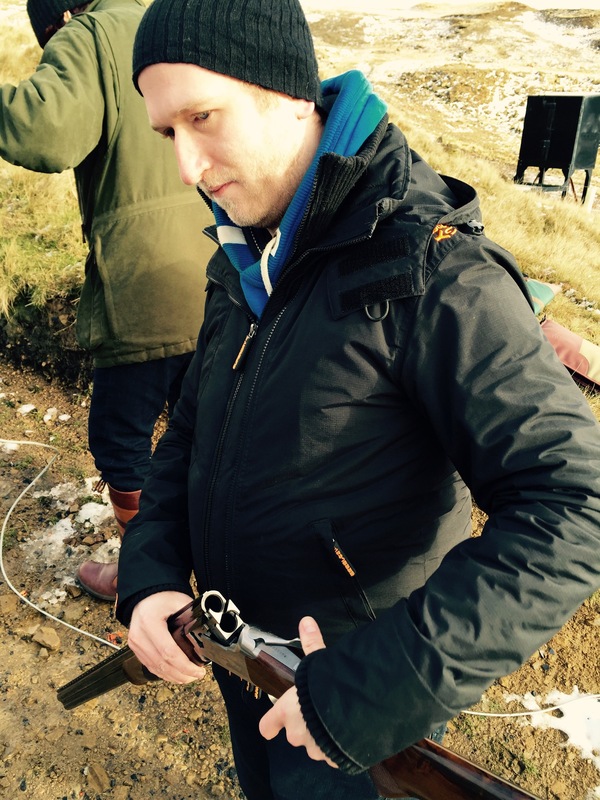 As for the gun itself, we borrowed my mum’s friend’s shotgun who is also showing us the ropes. Inside the office/hut there’s a woman making bacon and egg sandwiches. Black pudding is optional. A proper northern pick me up if I ever saw one. There’s tea and coffee that you pour yourself in a mismatched cup of your choice to warm your bones as it’s brutally cold up there. Soon enough we head out to shoot. What I like about this bunch – aside from their extra dry, sarcastic banter – is how they just let you get on with it. There’s the odd bit of advice, but most of the fellow shooters would rather save their breath for something self-deprecating instead. So it doesn’t take long to feel at ease. You don’t want to be nervous around shotguns. 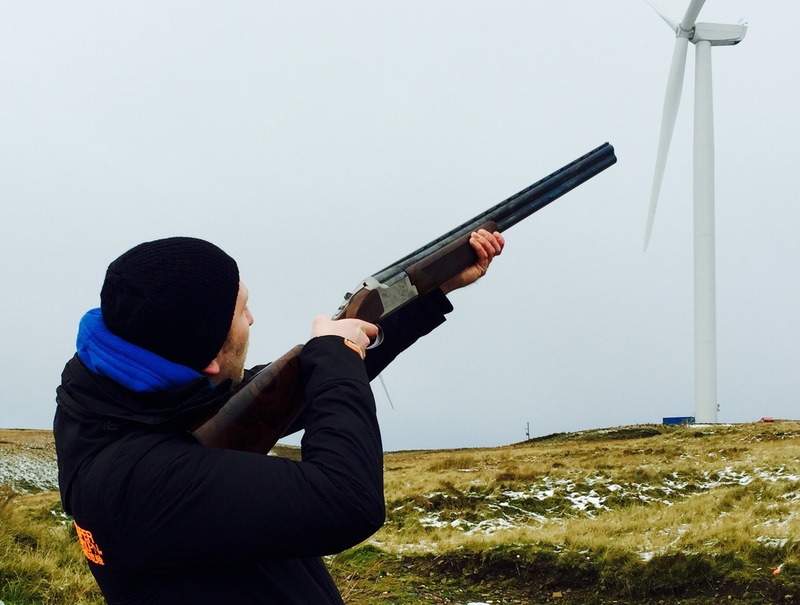 There are five stations each with 10 possible clays (shot out in pairs – one for each barrel of the shotgun) to hit. Sometimes the two paired clays follow each other, sometimes they go in opposite directions forcing quick movements of the heavy gun that reduces your accuracy. It’s raining heavily and the wind is up. A perfect 50 out of 50 is not on the cards. Prior to shooting as I eagerly watched the others in the shooting party, I thought that the recoil would overpower me and I wouldn’t be able to hit anything, but I was something of a natural – 19 hits out of 50 (38%) when all was said and done. Considering I’d never shot anything before, everyone (myself included) was surprised at how well I took to it. The trick they say isn’t to shoot at the target but rather where it’s going to be as it moves through the air and your shot has caught up with it. Factoring in wind and the varying speed and direction of each clay makes this tricky. Indeed, when I overthought it I tended to miss more than I did when I just felt it. The same was true for my brother who was also something of a natural (albeit slightly less than me!). 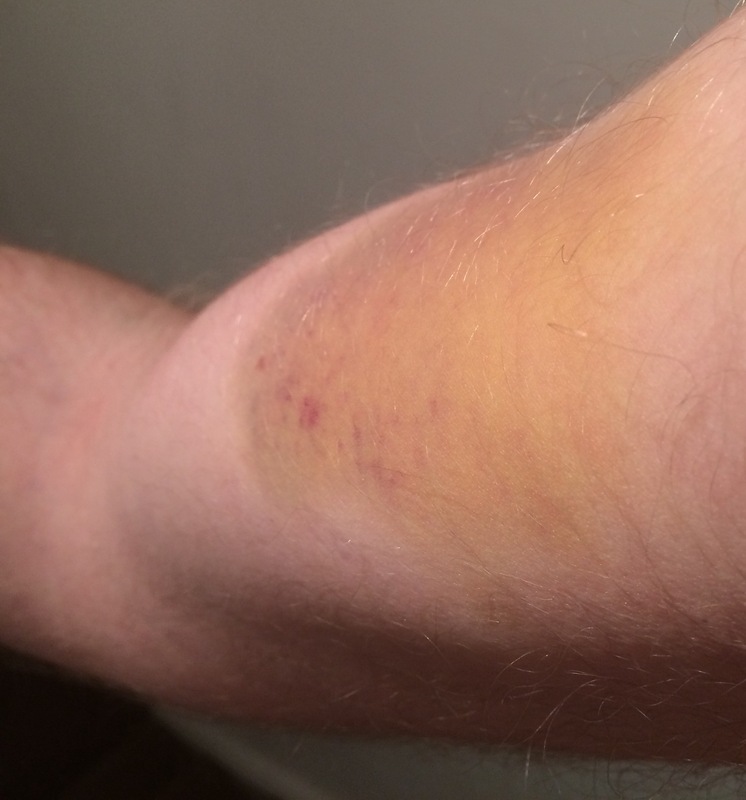 Only a day later did I realise how powerful it was when a massive bruise appeared from my sore shoulder running down my arm – a marker from the 50 punishing blows of recoil that would slowly dissolve from vibrant purple to swampish yellow in the two weeks it took to heal.